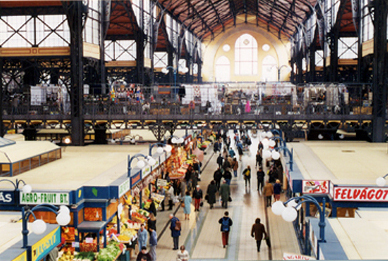 This gorgeous covered market dates to the turn of the 20th century and is still a focal point for city life. The spectacular building has been lovingly renovated and sits in all its glory just steps from the Danube on the Pest side, at the foot of the Liberty Bridge (itself a lovely structure). Not only is it beautiful, it is completely wheelchair accessible - and best of all, it is still alive. The market hall is open Monday 6 a.m. - 5 p.m., Tuesday to Friday 6 a.m. - 6 p.m., Saturday 6 a.m. - 2 p.m. and is closed on Sundays. An excellent booklet about it in several language is for sale at some of the souvenir stalls upstairs. Plenty of local people shop for their daily fare here undaunted by the hundreds of tourists roaming up and down the aisles. 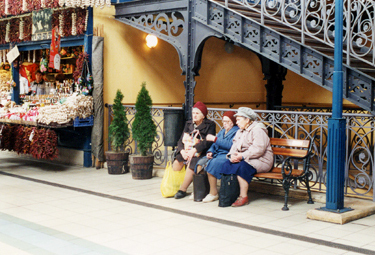 The second floor contains the handicrafts and souvenirs so dear to visitors hearts: embroidery, leather work, hand-carved chess sets, matruska dolls from Russia. The elevator for wheelchairs is located at the back of the hall (look for the sign). Upstairs at the front end, a ramp leads to a restaurant where two people can have a hearty meal for under $10. The tables can be a bit tricky for wheelchair users (someone has to shift the benches), but the soup bowls are huge, the goulash soup is wonderfully spicy, and the server kept piling stuffed cabbage on my plate until I pleaded "stop!" 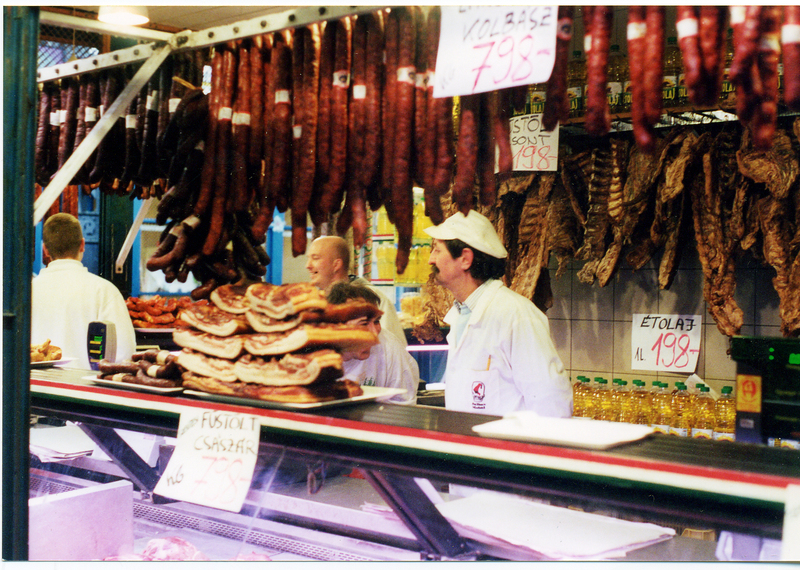 The lower level is devoted to food - there are aisles of fresh vegetables, stands of fowl and meat, a couple of shops with wine and liquor. 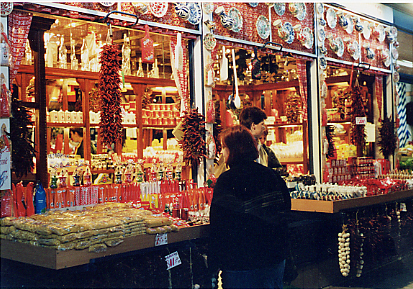 The only problem a guest faces is trying to choose from the salami, strings of red peppers and packets of saffron. Far in the back, a few small farmers come in from the country with honey, peppers and fresh berries in season. 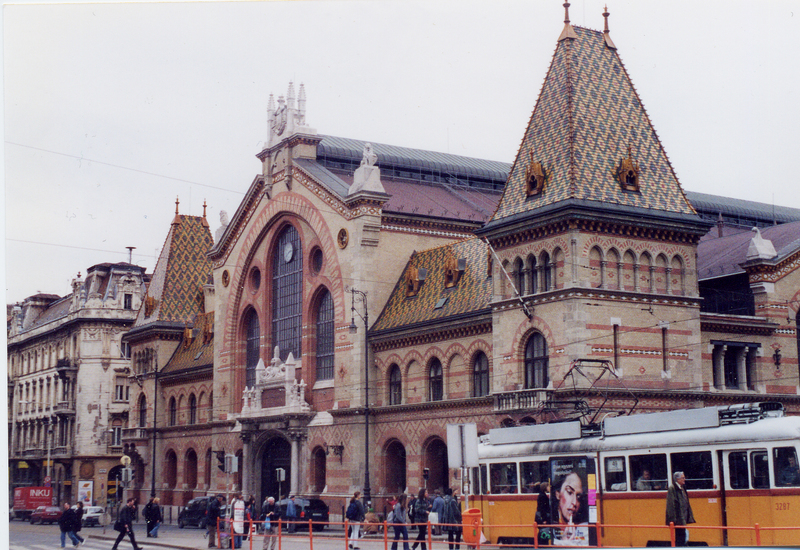 Designed by the Hungarian architect Samu Pecz (1854-1922), it opened in 1896 during the era when so many markets were organized and brought under roofs in Europe. The spacious, expansive structure is supported by slender steel columns which allow for maximum light. Outside, the facade is pyrogranite decor by Zsolnay - a Hungarian tile factory with an international reputation. A tunnel was built from its cellars to the river embankment to ease transport of goods by water.